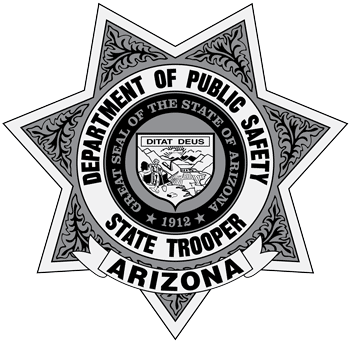 Munds Park – A carjacking suspect in a stolen vehicle led law enforcement on a pursuit along I -17. During the pursuit, the suspect fired at pursuing vehicles before colliding head-on into a commercial vehicle. On Sunday, February 12, 2017, at 9:51 a.m., the Arizona Department of Public Safety (AZDPS) received reports of a red Mustang being driven recklessly southbound along I-17 at milepost 298, which is north of Camp Verde. The Mustang collided with another vehicle. The suspect left the scene on foot and traveled to the northbound side of I-17. The suspect then took a white SUV from its occupants, and fled. Troopers pursued the stolen SUV. Troopers came under fire from the suspect during the pursuit; no one was injured by the gunshots. The SUV exited I-17 at exit 289, but returned traveling northbound on I-17. At approximate milepost 305 the vehicle crossed over the median and drove northbound in the southbound lanes of travel. At 10:20 a.m., the suspect collided head-on with a commercial semi-truck southbound on I-17 at milepost 307.8, which is 15 miles south of Munds Park. After colliding with the commercial semi-truck, the suspect confronted a Yavapai Deputy Sheriff, who assisted in the pursuit. The deputy sheriff discharged his weapon at the suspect. The suspect suffered serious life-threatening injuries from the collision and was flown to a hospital. The victim driver of the commercial vehicle was transported from the scene by ambulance with minor injuries. Interstate 17 was closed from approximately 10:20 a.m. until 8:58 p.m. while investigators conducted the investigation into this incident. This is the information available at this time. The investigation is on-going.